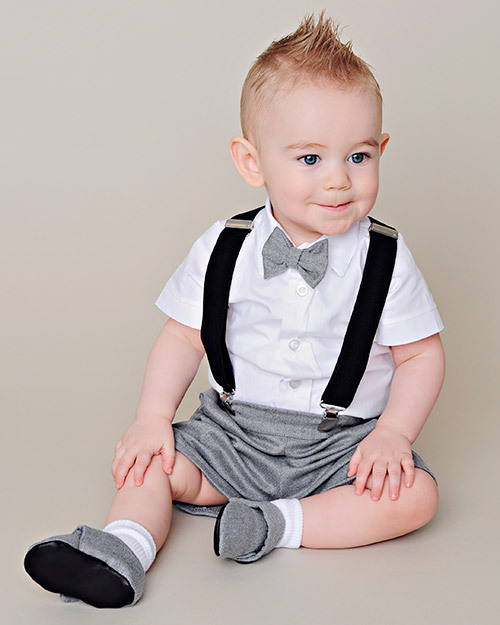 Occasion wear appropriate for your little gentleman’s baptism or christening. 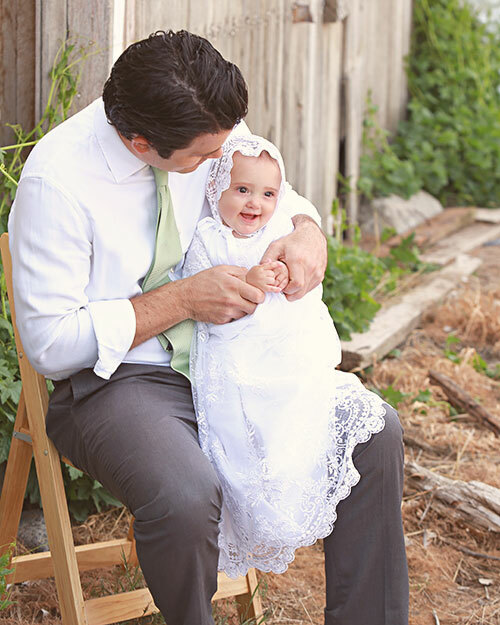 What could be better than a summer christening? 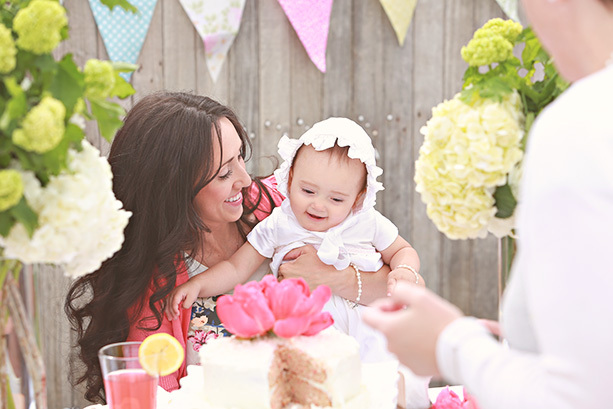 Summer is the perfect time to plan an outdoor christening! Flowers are in bloom, a light breeze rustles the leaves, birds singing–it all is so enchanting. Having guests sign in upon arrival is a fantastic way to commemorate the day. All of those signatures by loved ones are a visual display of “we love you THIS much” that baby will appreciate in years to come! 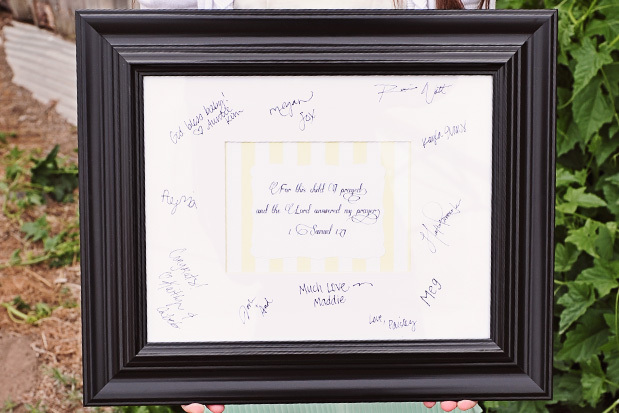 A great way to do this is to have a guest book or, better yet, a christening party signature frame that can be hung on baby’s wall. Feel free to be creative when it comes to the table setting. With summer time, anything goes! You can be more personable and have name tags next to each plate or have embroidered napkins with the guest’s name on them. 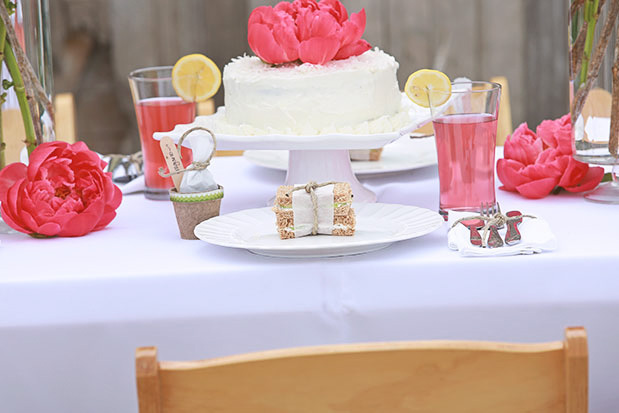 Or keep it casual and use pretty paper plates and napkins with plastic utensils. 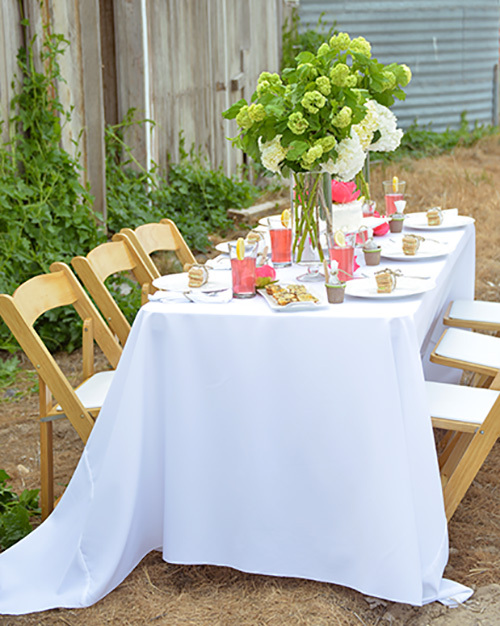 Either way, be sure to add a touch of summer with some live flowers and a crisp tablecloth. Also, it is a good idea to make sure no sprinkler systems will be turned on during the festivities. For the main course, go for something that is versatile and easy. For example, sandwiches can be little and fancy or can be customized by providing all the fixins’ to accommodate any taste buds. Fresh chilled fruit is always a great addition to a summer meal. You can do fruit kabobs, fruit pizza, or just have a pretty bowl with your favorite fruits mixed together. For dessert, a cake is always a yummy option, as a bonus, it can be decorated to be part of the decor. 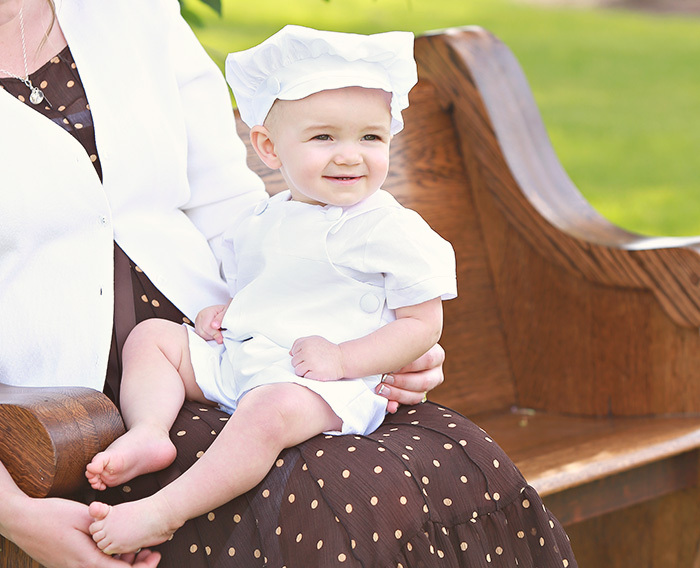 Have the bakery add a cross, embellishments to match your table setting, or baby’s name to make it extra special. We can’t stress enough the importance of pictures. 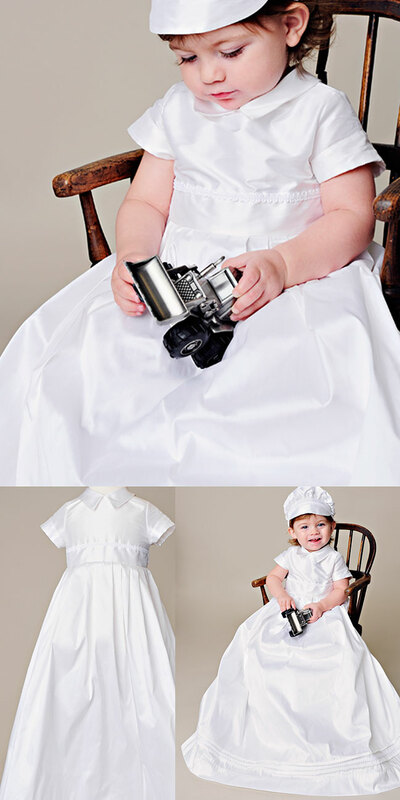 It is the only way to capture baby’s special day in vivid detail. The best way to make sure you do capture every moment, in its truest form and lighting, is to hire a professional photographer. There are many talented options out there. 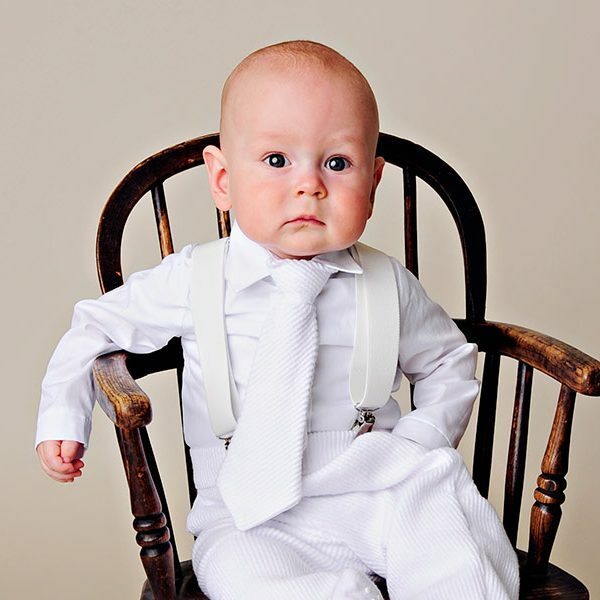 Talk to more than one to find the photographer that will be the best fit for you. Ask questions before booking: find out the cost, what is included with that cost, what type of photos they will be taking (you will want someone who can blend in with guests so they can snap moments and not just staged photos), what is their shooting style, and ask to see some of their previous work. 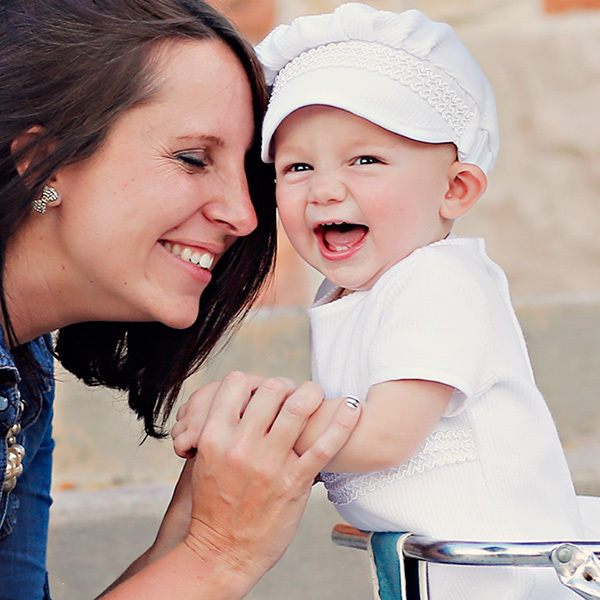 You will be glad you have these photos, and they will become more precious as time goes on. Lace with a light lining and cotton slip. Why? Both are a breathable material and will feel cloud-soft against new, tender skin. Short sleeve, silk, and open-back bonnet. Why? Short sleeves for obvious reasons but silk is another lightweight material that is great for warm weather events. 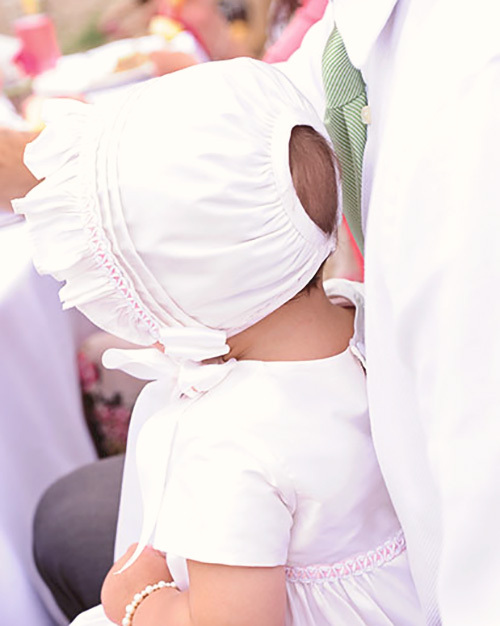 The open-back bonnet is not only an adorable vintage style it also allows for a cooling airflow as well. 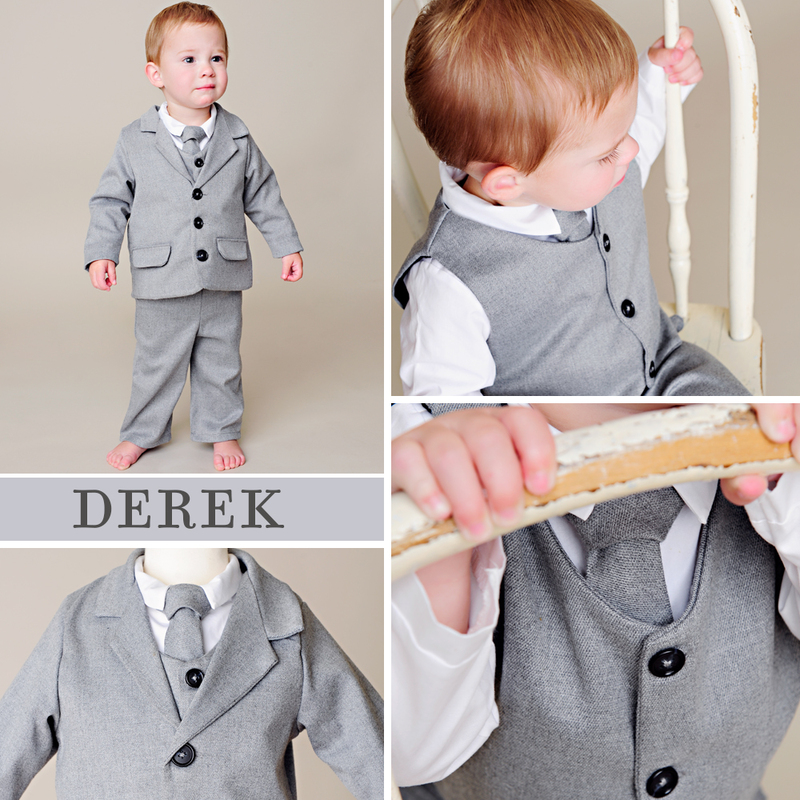 Outfits made with 100% cotton broadcloth. Why? 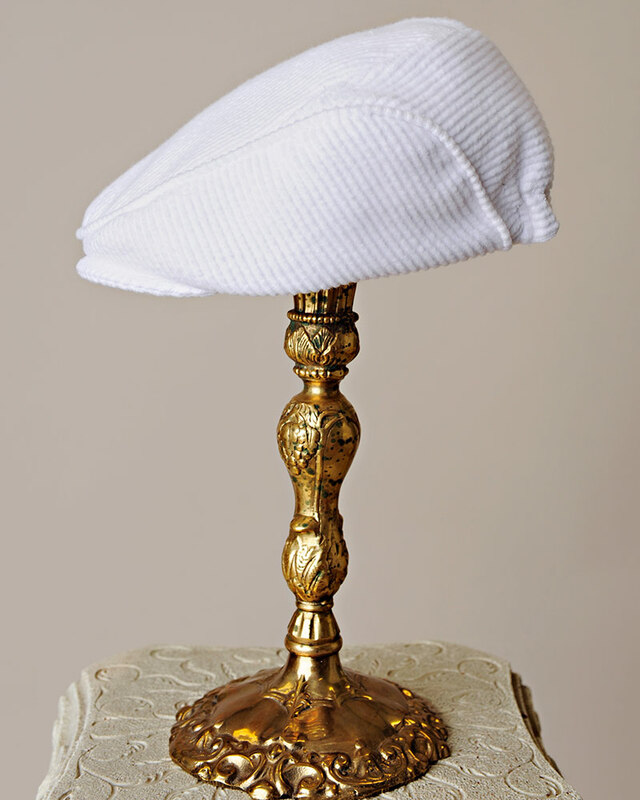 It is crisp by nature to bring out the handsome and, above all, it is light and airy. 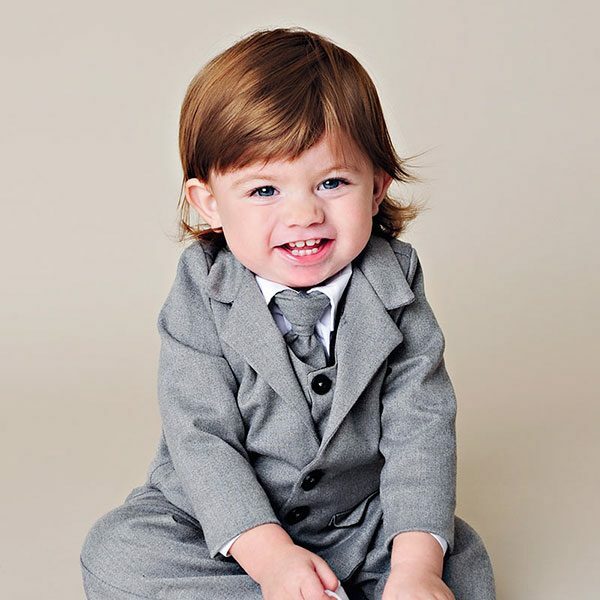 100% silk or polyester shantung romper. Why? Both materials have an irresistible luster in the summer sun. However, be sure to look for a short sleeve option and (if possible) a shorts style. 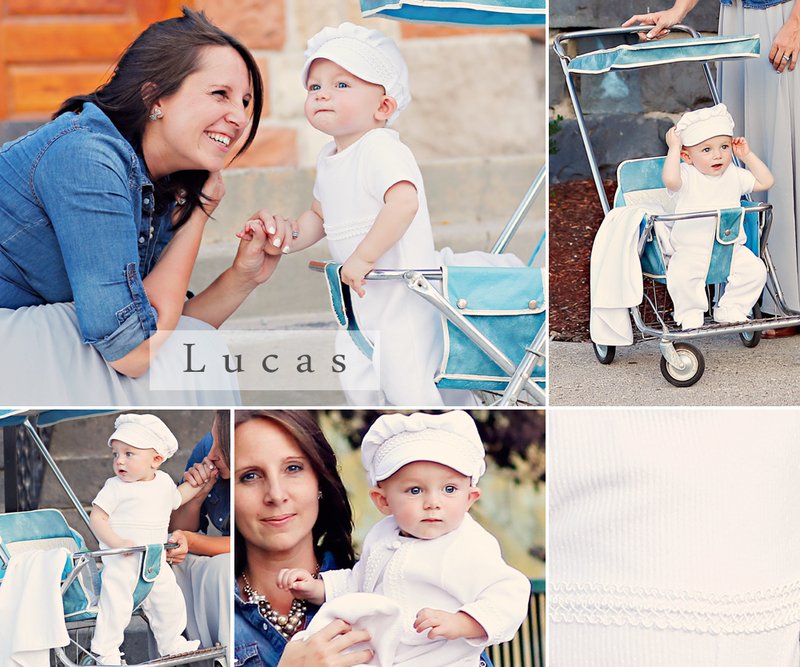 These materials, although stunning, are less airy than cotton but are still a great light-weight option. Bodysuit tops, overalls, or rompers. Why? This is just a good rule in general. All babies are precious and all babies LOVE TO WIGGLE! 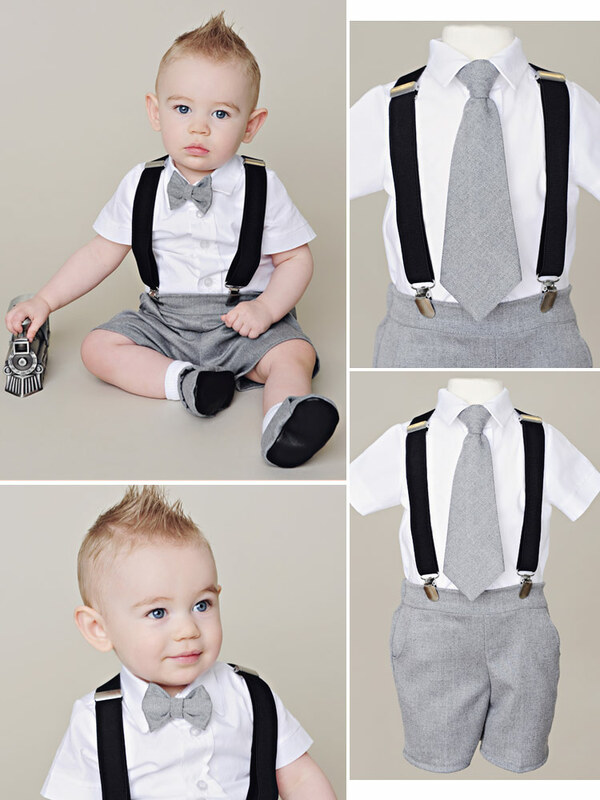 With a one-piece style, you can rest at ease knowing you will not spend the day adjusting your little man’s outfit or tucking his shirt back in. Thanks for reading and letting us share our ideas with you. 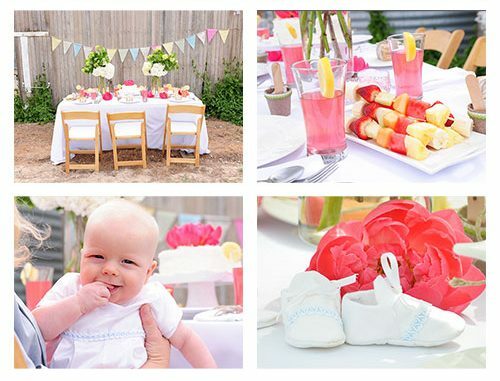 We hope these tidbits will help spring forth a plethora of your own amazing ideas as you plan your little’s magical outdoor summer christening.